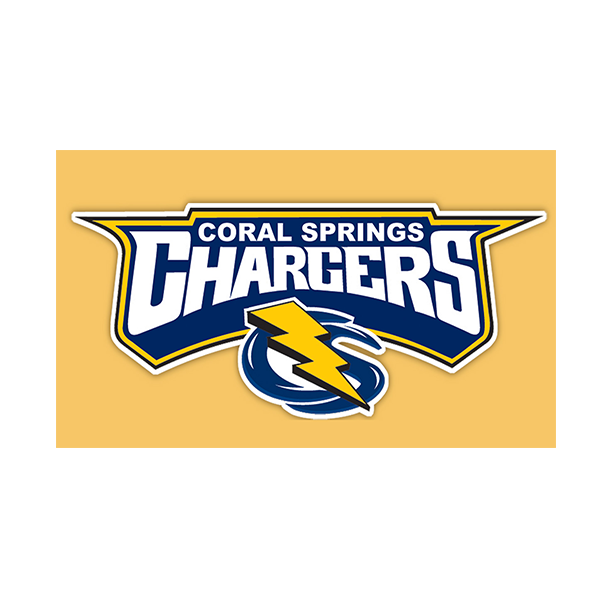 The Coral Springs Chargers are a privately sponsored traveling competitive tackle football club, fielding teams in seven weight divisions. We are one of 13 local cities that comprise the American Youth Football League (AYFL) in South Florida. Practices begin in mid-July and run 4-6 times per week. We play an eleven-game schedule starting in mid-August, and conclude the season with a two round single elimination playoff for the top 8 teams in each weight division, and ultimately the AYFL Super Bowl. Games are played on Saturdays, beginning with the Peewee team at 9:00 am, with each successive weight division game beginning 5-10 minutes after the completion of the prior game. The season’s schedule is structured so that each city plays roughly 50% of their games at home, and the other 50% away. The Chargers are a competitive program, and placement on the team is by competitive tryout at the beginning of the season. The AYFL places strict limits on the number of players we can roster in each weight division, which forces us to only retain the best players from the initial registration. Players who are cut for any reason in the pre-season receive a full refund of their registration fees.